Dr Michaela Benson of Goldsmiths, University of London, has been studying the impact of Brexit on Britons in south-west France. She has written for Connexion readers about her latest findings, which contradict some of the stereotypes about Britons in France. You are certainly familiar with the popular depiction of UK citizens living in France as retired people living idyllic lives in the French countryside. You are probably also as equally attuned to the mismatch between these images and the diversity of the British population living in France. Perhaps you live in a city, or a town; perhaps your life does not resemble such tropes. Since June 2017, I have been running a large research project that explores how Brexit is experienced by UK citizens living across the EU27 [the rest of the European Union]. My own research for the project includes interviewing Britons living in Occitanie, specifically in the Lot and Toulouse, about their attitudes towards and experience of Brexit. While there is general concern and confusion about what will happen to the existing rights and entitlements that make people’s lives in France possible, Brexit is not only an administrative inconvenience and complication; how people understand their changing rights and entitlements in the context of their own lives reveals that how Brexit is experienced is additionally caught up in broader questions of identity and belonging. Variously caught up in questions of what it means to be British in a time of Brexit, it often causes people to talk about their sense of themselves as European and how they understand their lives in France. 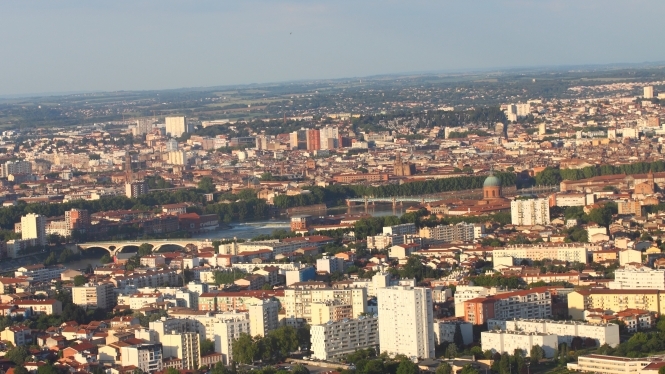 Toulouse, the fastest-growing urban area in France, is home to a sizeable British population. What are the characteristics of this population? They are often integrated into the local labour market, represented, for example, in its world-leading aerospace industry, the university sector, or working as English-language teachers. They might also be employed and self-employed in numerous small businesses and services run by and for English-speakers living in the area. It is also notable that there are many dual national families within this population, where one partner is British, one French. You might think that the relatively high levels of economic and social integration among this population might insulate them from the impacts of Brexit. But it is clear that this is not the case. Even for those living in Toulouse on extremely comfortable expatriate contracts, disbelief at Brexit and concern about what this might mean for Britain and for their children’s futures was evident. For others, Brexit was deeply implicated in their sense of identity, the emotional impacts captured in Kate’s haunting comment “They voted against everything we are”. To her mind, her family – her French husband who she had met when they were both working in London, and their three children – were the epitome of European integration. Family also featured elsewhere: one mother, with adult daughters who had been raised in France since they were infants but who now lived back in the UK expressed her concerns about what the loss of Freedom of Movement through Brexit might mean for their lives. One of her daughters had worked in several European countries, the work seasonal; her employment had been made possible by her flexibility as a European Citizen to go where the work was. What of her future? And further, what about if they wanted to come home to France? 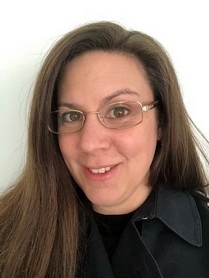 For Emily, a postdoctoral researcher in a specialist laboratory in one of the city’s universities, Freedom of Movement had facilitated her relocation to Toulouse. On a three-year contract due to expire in October 2018, she was concerned that the imminent withdrawal of the UK from the EU would impact on how potential employers in the city would judge her right to live and work in France and what this would mean for her continued right to reside in the city. And then there was Kelly, raised by her British parents in a remote rural area, she was now living in Toulouse with her French boyfriend after completing a Masters degree. She was currently unemployed after a year-long temporary contract had come to an end. With her naturalisation interview on the horizon, she was keeping all her fingers crossed that she would be in employment by that date, worried that her unemployment would jeopardize her chances of success. Stereotypes about the British abroad have dogged discussions in the UK about what Brexit means for UK citizens who have made homes and lives in the EU27. They obscure from view the complex implications that Brexit might have for the ways these Britons live their lives. Toulouse with its sizeable and diverse population of resident Britons, many of whom are economically and socially integrated into the life of the city, is one location where this complexity might be viewed. Current agreements over citizens’ rights assuage only partially concerns about the future rights of UK citizens who are legally settled in France; the resolution to questions about continued Freedom of Movement and what Britons living in France should do to confer their continued rights of residence might further soften the legal and administrative impact of the UK’s withdrawal from the EU. However what is clear is that Brexit goes to the heart of how people think of themselves, their families and their place in the world. And this likely will not be so easily resolved.